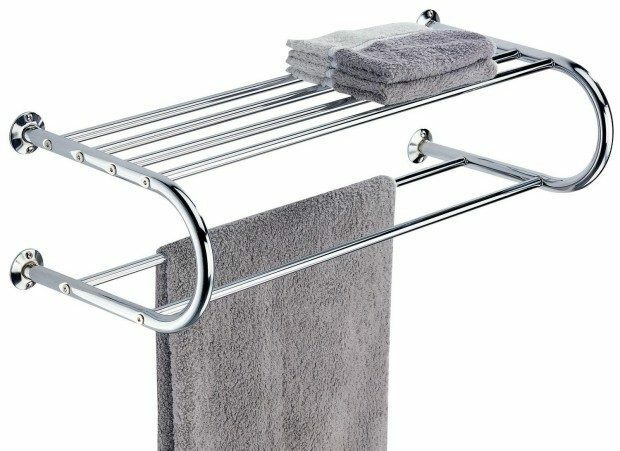 Organize It All Shelf with Towel Rack Just $15.97! You are here: Home / Great Deals / Amazon Deals / Organize It All Shelf with Towel Rack Just $15.97! Organization is a small room is essential. The key is using all available space! This Organize It All Shelf with Towel Rack Just $15.97 from Amazon gives you a double towel bar and a storage shelf on top! Maximum storage in minimum space!